“With a voice that can flit between beautifully soothing to uncontrollably impassioned in an instant … Rokia Traoré’s heartfelt plea on behalf of Mali, her homeland, is also a simply brilliant piece of music.” (The Guardian) Traoré’s most recent recording, Beautiful Africa, features lyrics in the Malian–born Traoré’s mother tongues of French and Bambara, as well as English. Traoré has “an extraordinary voice,” says the Times of London. Presented in association with Batuki Music and Small World Music. 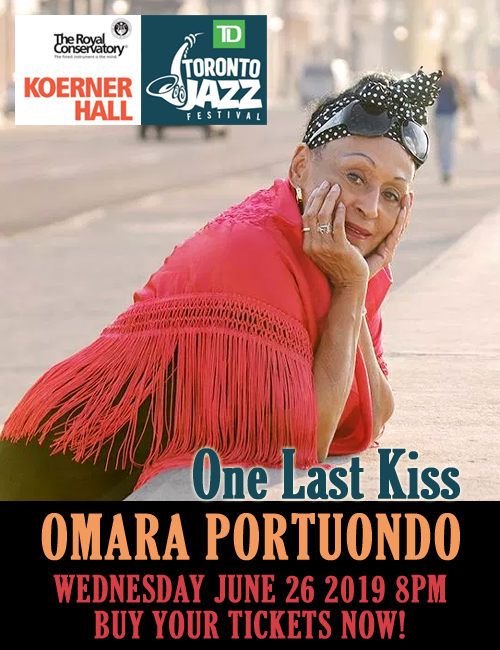 Wednesday, November 27, 2013 at 8:00 pm at Koerner Hall in Toronto. One of the most inventive female singer-songwriters in Africa today, Rokia Traoré is remarkable not just for the range of her powerful and emotional voice but also for the sheer variety of her work. Recently, she has written three very different sets of music: the acoustic Damou (Dream), the bluesy Donguili (Sing), and the rock-influenced Donke (Dance), in which she set out to show three different aspects of Malian culture and her own personality, and which were all performed at different London venues in one week. Rokia Traoré was criticized for not being a griot (from a family of traditional musicians), but a daughter of a diplomat, when she first set out to become a professional musician. Although she had no musical training, she gave up her studies in Brussels to return to Mali to create a new form of music, in which her songs would be backed by her acoustic guitar, along with n’goni and the xylophone-like balaba balafon, two instruments not normally played together in Africa. Her breakthrough came when she was hailed as the ‘African Discovery’ of 1997 by Radio France Internationale. In 2003, her album Bowmboï included a collaboration with the Kronos Quartet and was awarded a prestigious BBC Radio 3 World Music Award. Her 2009 album Tchamantché reflected her new fascination with the Gretsch electric guitar, and won a Victoires de la Musique, the French equivalent of a Grammy, as well as a Songlines Artist of the Year Award. She has twice collaborated with director Peter Sellars, who in 2006 invited her to write and perform a work for his New Crowned Hope project, celebrating the 250th anniversary of Mozart’s birthday. Traoré portrayed Mozart as a griot in the time of the 13th century African ruler Soundiata Keita, whose empire was centered in what is now Mali. She has also collaborated with Nobel Prize-winning novelist Toni Morrison and Sellars on the theatre piece Desdemona, bringing an African dimension to the story of Shakespeare’s tragic heroine. 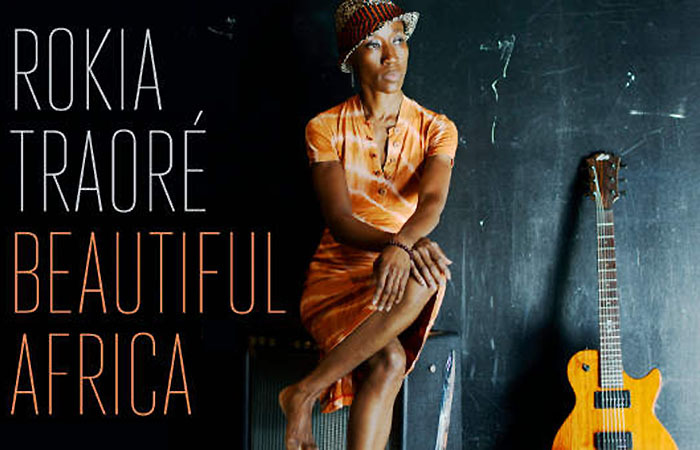 Her new release, Beautiful Africa, is an album of the powerful new songs first heard in her Donke project, reminding listeners it was rock music that first inspired Traoré’s remarkable career. The songs are in the West African language of Bambara, as well as French and occasional bursts of English, and the often personal lyrics are concerned with Traoré’s thoughts on her own life, and on her tragically battered homeland. Beautiful Africa was produced by English musician John Parish (PJ Harvey, Eels, Sparklehorse) and recorded at Toybox Studios in Bristol, UK.